This plant has tightly curled deep green leaves. Use extensively in a variety of culinary ways it also can be used in a tea as a blood cleanser and is well known as an antidote for the smell of garlic on the breath. Companion plant with tomatoes. Bees love it Aphids don’t. Biennial. Ground cover. H:30cm W:30cm. 12cm, 17cm. Has deep green flat leaves. Used extensively in a variety of culinary ways. It can also be used in a tea as a blood cleanser and is well-known as an antidote for the smell of garlic on the breath. Companion plant with tomatoes. Bees love it. Aphids do not. Biennial.Annual. H:60cm W:30cm. 12cm, 17cm. 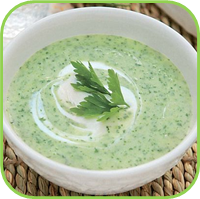 Parsley can be used in various ways. Give some colour to your rice or potato dishes, a topping for soup, use as a base in pesto's, decorate your plate or flavour your meat and vegetables. •Never allow the soil to dry out, as it requires moist soil conditions, but prevent a waterlogged situation. 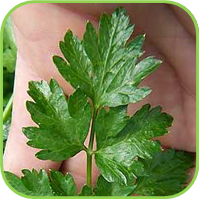 •Fertilize with an organic fertilizer at least once a month, as parsley is a heavy feeder. Yellowing leaves will indicate either a drainage problem (too waterlogged), or a lack of fertilizer. •be produced in the first growing season. Therefore regard parsley as an annual and replace it every season. •Do not plant with: Mint. •Freshly picked leaves are used for garnishing and to enhance the flavour of other foods and herbs. It is valued for its taste and nutritional content. Add the fresh leaves just before the end of cooking to retain the best flavour. •Cheese, Egg dishes, Casseroles, Sandwiches, Soup, French dishes, Italian dishes, Mexican dishes, Sauces, Butter, Salad Dressings, Stuffing and Savoury Dishes. •Highly nutritious, packed with vitamins and minerals. One of the richest sources of vitamin C.
•Vitamins A, B1, B2, B3, B5, C, D, E, bioflavonoids, Calcium, Folic acid (Folate), Iron, Magnesium, Manganese, Phosphorus, Potassium, Selenium, Silica, Zinc. •A dry skin will benefit from a facial steam and will help to minimize freckles. •Use as a hair tonic and conditioner. • Tonic, Halitosis, Clears toxins, Fatigue. • Mild activator of adrenals and thyroid gland. 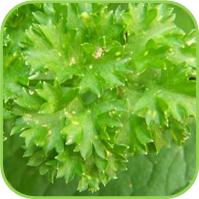 •An infusion made from the seed and used as hair rinse, is effective for killing head lice. •Strengthen hair, nails and skin. •Liver disorders and inflammation of the Gall bladder. •Carminative, Indigestion, Cramps, Colic, Anorexia. •Cystitis, Diuretic, Oedema, Kidney stones. • 1 Cup of tea made from fresh leaves, 3 times per day. • 2-4 ml in water, three times per day.